Due to match fishing commitments, it is quite rare that I manage to sneak out for a pleasure session but I managed just this today. I ventured to Lambwath Lakes situated in the village of Aldbrough East Yorkshire. 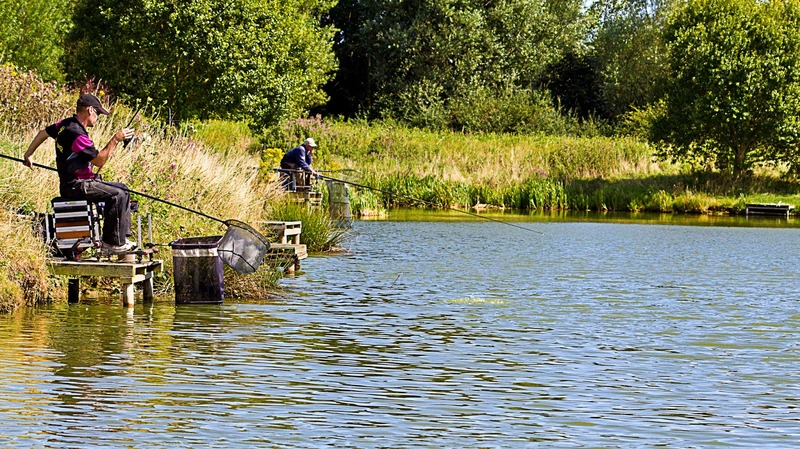 For those who have never been to the fishery before, there are 5 well stocked lakes to choose from with 120 pegs in total available. For today's session I planned to go on Lambwath Lake itself, which is a large rectangular shaped lake. The lake is pegged both sides with a couple of pegs on each end. 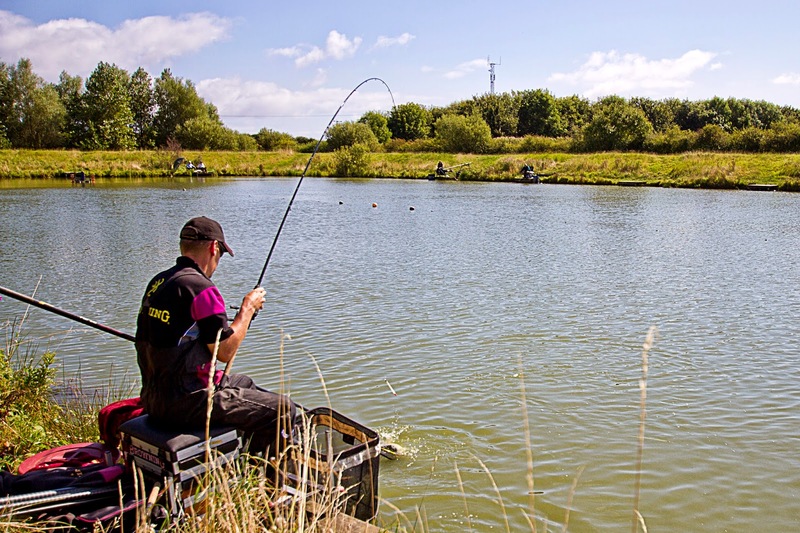 To make things easy and fair the staff have placed a rope down the centre of the lake which indicates how far you can cast from either bank; as I have been to the venue many times in the past, I had already decided how I was going to approach the session before even setting off! I had decided to start on the bomb close to the rope then switch to the Pellet Waggler later in the session. 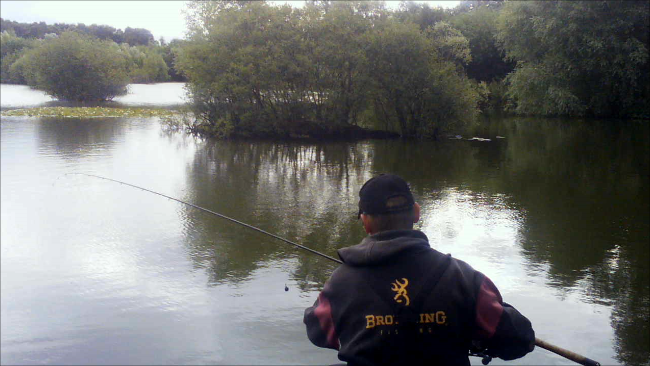 After setting up I cast to the position I wanted to fish (without a hook length on) and clipped up on both the Bomb and the Waggler rods so that I could cast to the same position every time without catching the rope. I also set up a pole line to fish paste at a top 2 plus 2 distance. This would be for later during the session. 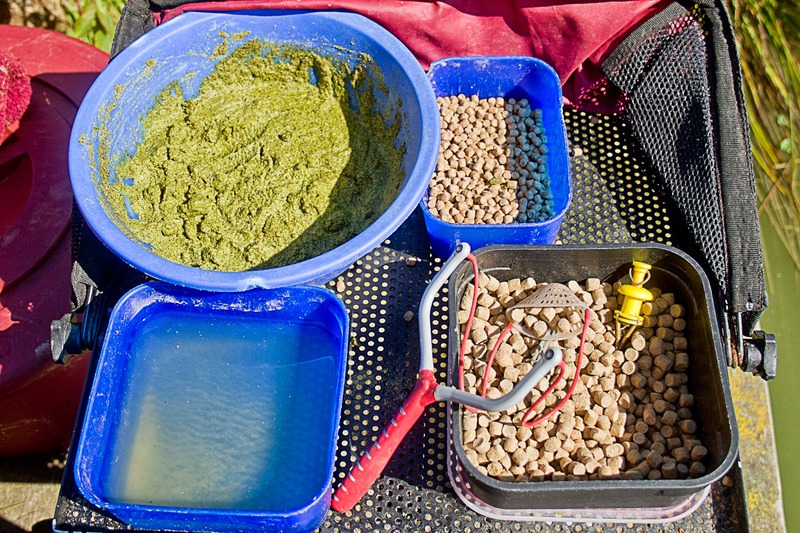 As with most my fishing I like to keep things pretty simple and it doesn't come much simpler than some 8 mm hard pellets for the Waggler and Bomb and some 6 mm hard pellets and a bowl of green paste for the paste line. I have found that green paste seems too out perform any other colour paste on all the lakes here at Lambwath. Hook - Size 16 Kamasan B911 tied with a knotless knot with a hair rigged micro band. Shotting - None. The float is plumbed and set so that the paste holds the float in the correct position. I started the session on the bomb and immediately started feeding a couple of 8 mm pellets every 20 seconds. 2 minutes later I was into my first fish, which was a pristine Mirror Carp around the 3 lb mark. After putting the fish in the keepnet I recast to the same position, this time I had to wait around 5 minutes for the bite, which again resulted in lovely little Mirror Carp. The next 2 casts produced a Mirror Carp then a much larger Common Carp. What a start! The time felt right to switch to the Pellet Waggler and a few seconds after the first cast I was in again. A decent sized Ghost Carp gave me a right battle before it was safely netted. The next few casts also resulted in fish. I was now catching at a rate of knots. 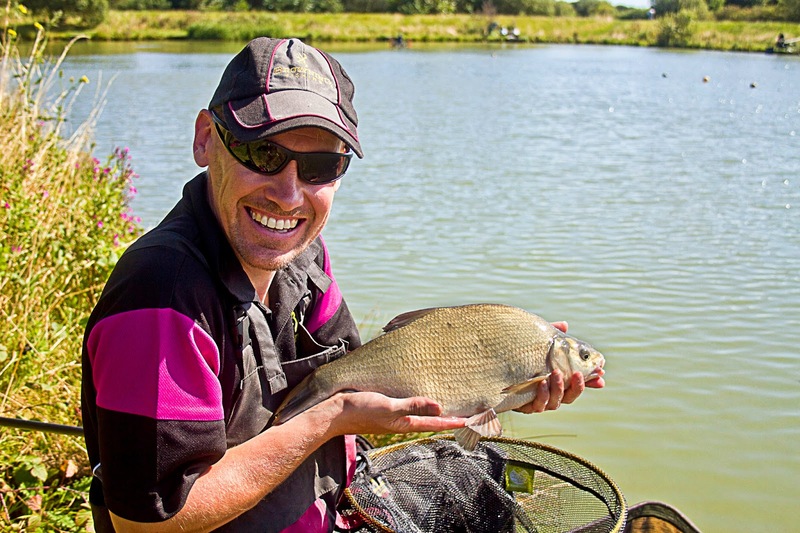 Carp were the main species, but I did manage to catch 2 cracking Bream as well. I found that leaving the waggler in position for a minute after casting was best, as bites tended to come either immediately after the float had just hit the water or in the first 30 seconds. If I left it any longer a bite never materialised. After a couple of intensive hours bagging on the pellet wag I decided to have a go on the paste line. Had this been a match I would definitely have continued on the Pellet Waggler, but as this was a pleasure session I wasn't under pressure to keep catching. In preparation I had fed this line by potting a few pellets and some chunks of paste a couple of times earlier in the session. I baited the hook with a big chunk of paste and placed it into the pole mounted pot. I also put a sprinkling of 6 mm pellets into the pot then shipped the pole to the desired spot. I carefully tipped the paste into the water. As the float settled I immediately had indications that fish were in the swim. After missing a few early bites I soon managed to latch into a decent Carp. I managed to land the fish quite quickly and it was the biggest fish of the day so far, a lovely Common around 7 lb. I managed a few more on this line before I decided to end the session. 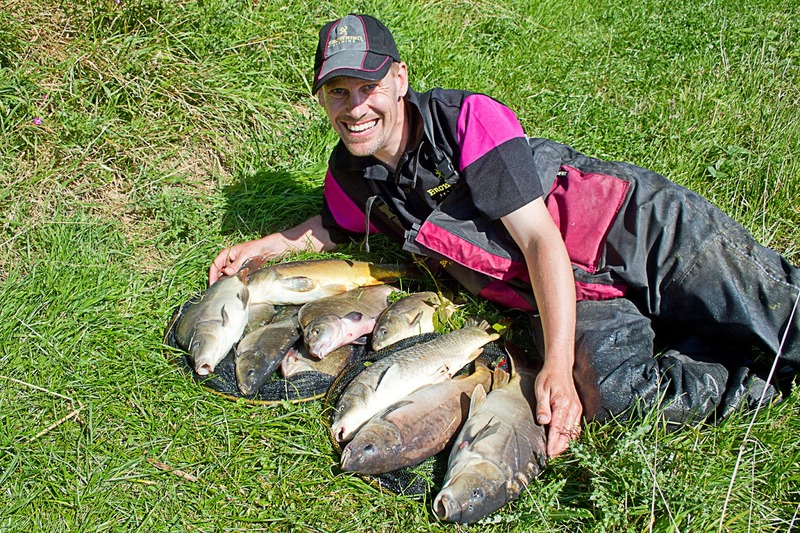 I had a cracking day and must have had a good 70 - 80 lb even in this short session. 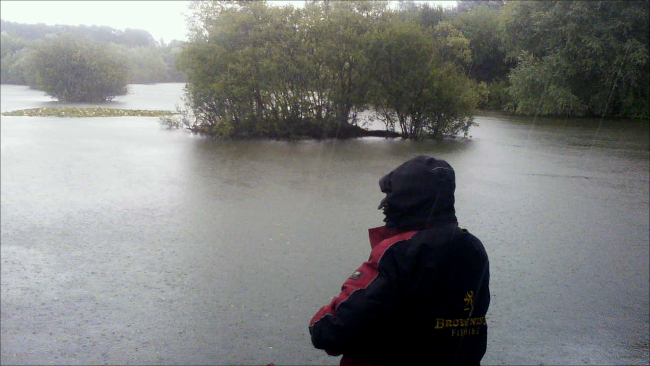 This demonstrates just how good Lambwath Lakes is and I for one will definitely be paying it another visit very soon! Are you still using a "classic" Browning pole? 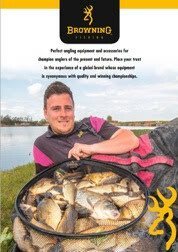 Or prehaps you have an "old favourite" Browning lurking in the back of your tackle shed? If yes, you're invited to use it in a planned special match, with a chance to win a brand new Browning Xitan pole and some more prizes. The match is free to enter and is open to owners of pre 2005 Browning poles (see below). 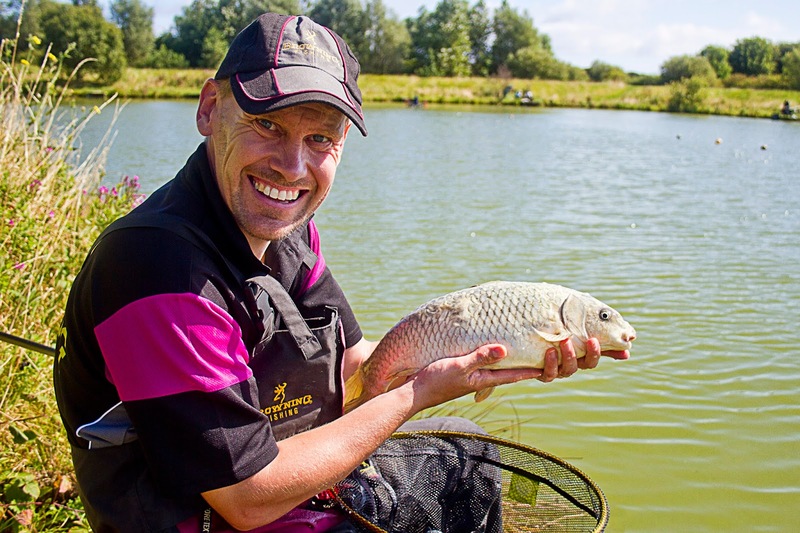 It will be held on Saturday October 18th at Tunnel Barn Fishery. Spectators will be welcome and visitors will get the opportunity to try Browning's latest range of poles. Bob Nudd will fish the event but will not be eligible to win a new pole! Frerk Peterson, marketing Director for Zebco Europe/Browning says: "Browning has been making poles for more than 40 years and we still have lots of customers who own, or use one of our older models. It would be good to get these old "warhorses" out for a special match. Anglers will also be able to compare the old poles against our latest models to see how far pole technology has advanced. Even if just visiting the main event, we would still be really interested to see any older Browning poles people have. 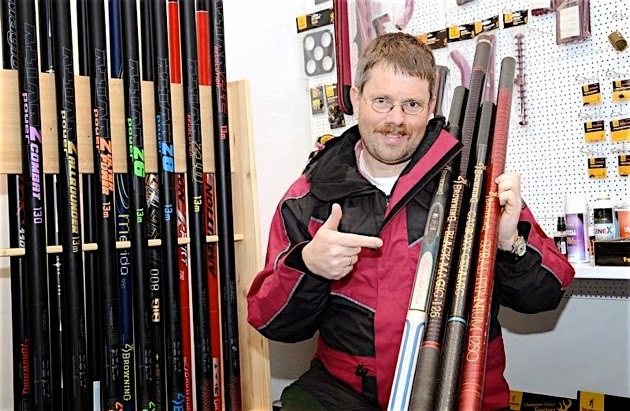 I'm sure it will be an interesting and fun day, and somebody will leave with a new pole!". To enter, or for more information email: warhorse@zebco-europe.com with your name and contact details and model of Browning pole you will be using. Closing date is August 31st. 1) The pole used must be a pre 2005 model. Pole ranges like the Carboxys, early Black Magics, Titainiums, Leends plus many others will be eligible. 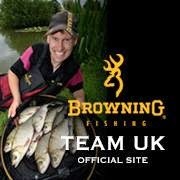 If you're unsure if your pole is eligible email Browning on the address above. 2) There will be a pole length limit of 13m maximum and 6m minimum. 3) A maximum of 2 topkits, plus a separate cupping kit can be set up. Book a place, dust off that old pole and come and have a fun day! I have been using this line for quite a few years now, even before I got involved with Browning. It was more by luck that I started using it really, being that I went to the tackle shop to get another manufacturers line and they had ran out. Fortunately the tackle shop had just had a delivery from Browning and this gave me my first opportunity to have a look at Hybrid Power Mono. As with most anglers, once you have trust in a product, reluctance to change sets in. 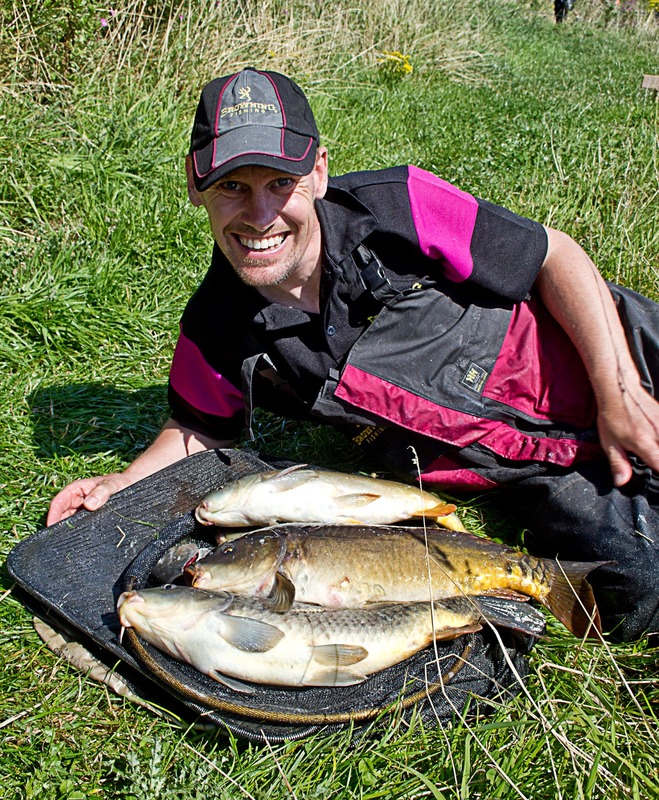 I didn't really have a choice, I needed some line and fast, as I had a match the next day and no rigs sorted. On arriving home I took a spool from its packet and stripped some line form it. I gave the line a good stretch, hoping that it would not end up like a pigs tail when I let go. It was a relief when the line just stayed perfectly straight. After a few more goes at stretching and releasing and the same result every time, I was happy to start making some rigs. Another point I was eager to test was the knot strength and suitability for using as a hook length material. I must have tied a good 20 hook lengths that day and not one single one had the tiniest bit of kinking close to the hook, which used to happen quite regularly with the previous manufacturers line, resulting in having to re tie the hook length. All I had to do now was catch a shed load of fish to give it a final thorough testing. Since making those rigs on that day ( a few years ago now) to this present day, I can honestly say that I have used it on almost every rig and hook length I have made and it has never let me down; considering I sometimes fish 2 - 3 times a week, that equals a lot of rigs and hook lengths! The consistency of the line manufacture, diameter and quality have never wavered or altered in all the years I have used it. The only thing that will stop me using this line now is if they stop making it altogether. For a super strong, super soft and super tough line that has been thoroughly tested, look no further than Browning Hybrid Power Mono. With a recommended retail price of just £3.95 per spool, "happy days!"